Click the button below to add the DMC60C: Digital Motor Controller approved for FIRST Robotics to your wish list. The DMC60C is a powerful compact motor driver designed for any application where 12V brushed DC motors are needed and is an approved motor controller for FIRST Robotics Competitions (FRC). A drop-in replacement for Digilent's first generation PWM-only DMC60, the DMC60C brings all of the features and benefits of the previous generation with support for CAN communication. The DMC60C comes with a free configuration utility and demonstration code to help users get up and running quickly. To preview the software, you can visit the resource center to download. Sealed, ruggedized, and compact aluminum case designed to protect and prevent debris from entering the controller. Large gauge input/output cables with flexible silicone insulation that are robustly attached to prevent vibration "shake off". Tie-wrap and through-bolt mounting designed so the controller can be mounted directly onto the robot frame. Reversible motor controller that can run motors in forward and backwards direction. Can run both open loop control or closed loop control. 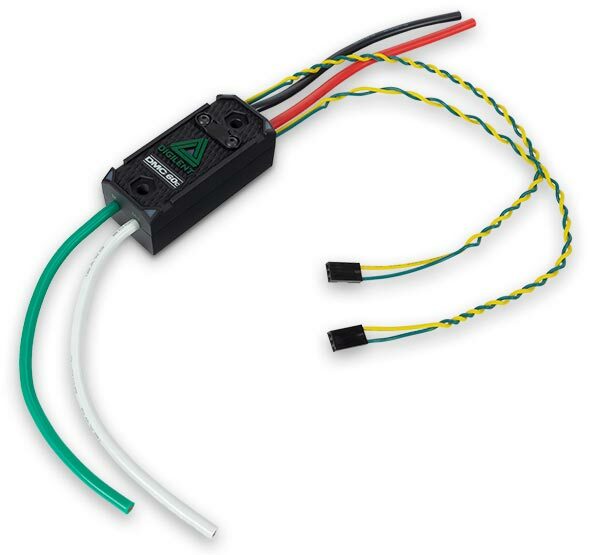 Designed to connect directly to a brushed 12V DC Motor, but can be used with other motors that are in the 12-24V range. Four multi-color LEDs to indicate speed, direction, status, and error codes for easier debugging. Brake/Coast Calibration button enables one-touch setting changes and simple calibration. Designed to not require an external fan for cooling. Fault protection with integrated thermal sensing to prevent overheating and damage. 15.625 kHz output switching frequency ensures smooth and precise motor control. 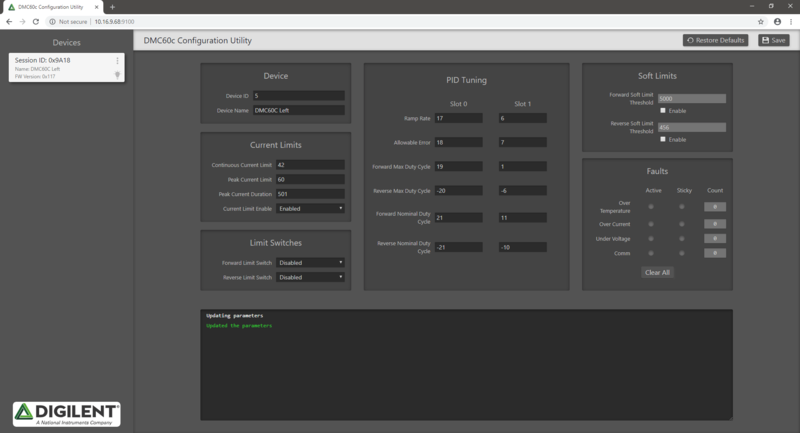 Demonstration code comes in C/C++, Java, and LabVIEW code with simplified functions with advanced sub-menus which enables a "set" mode and a "get" mode, and allows customization in the advanced menus. NOTE: For FIRST Robotics Teams that are interested in evaluating the DMC60C for use, please contact us through our sample process.